Happy Friday, everybody! Is it just me, or did this week go by at a glacial pace? I’m so happy the weekend is here. I am finally feeling better, but now I have a sick husband on my hands that has to unfortunately work all weekend. I plan to spoil him with lots of love and home-cooked meals. 1. Ryan sure got me good on birthday surprises this year. First, he has two of my best and closest friends surprise me a week early; then, he gives me Photoshop Elements as my first birthday gift. Well, to top it all off, he got me a new iPad Mini! I was shocked; I have wanted a new iPad for a while since mine was dying a slow death, but I never suspected that I would get one so soon. Needless to say, I have a very thoughtful (and sneaky!) husband. He also surprised me by having our two close friends meet us for dinner Saturday night to celebrate – what a guy! 2. 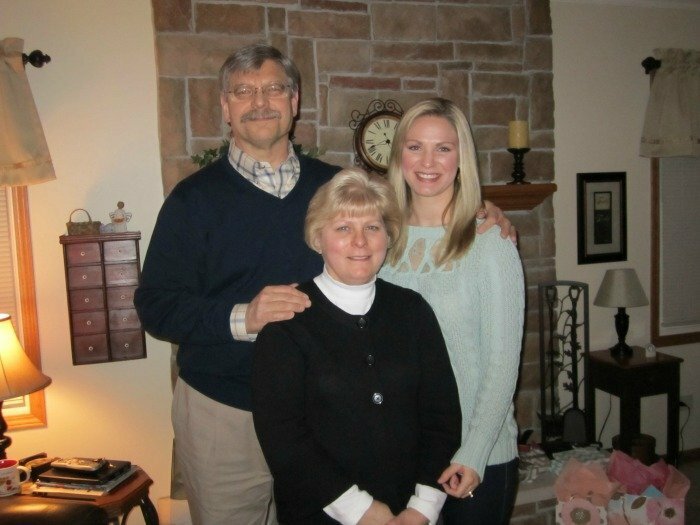 We had a great overnight visit with my parents in Schaumburg last weekend. 3. 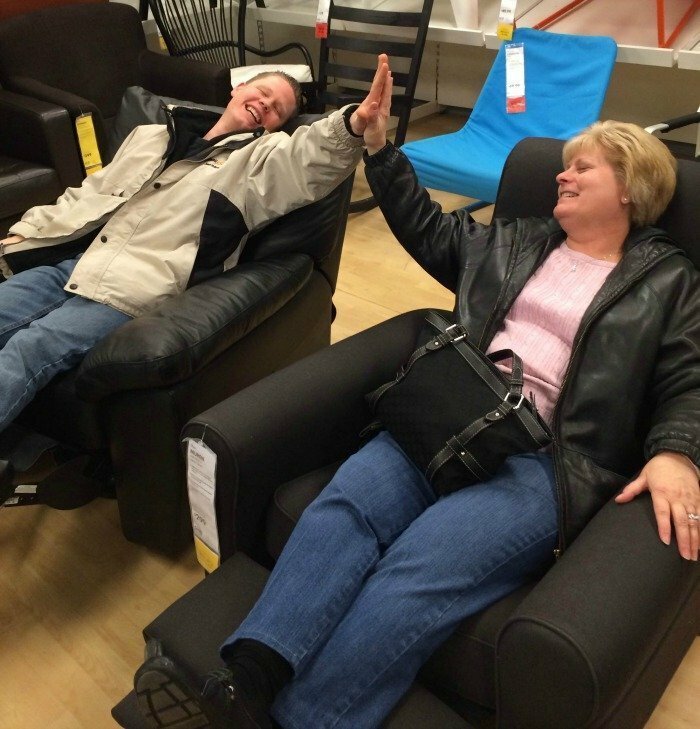 As you know, we went to IKEA during said overnight trip to Schaumburg. Let’s just say that my mom and Ryan sure have a special bond. 4. 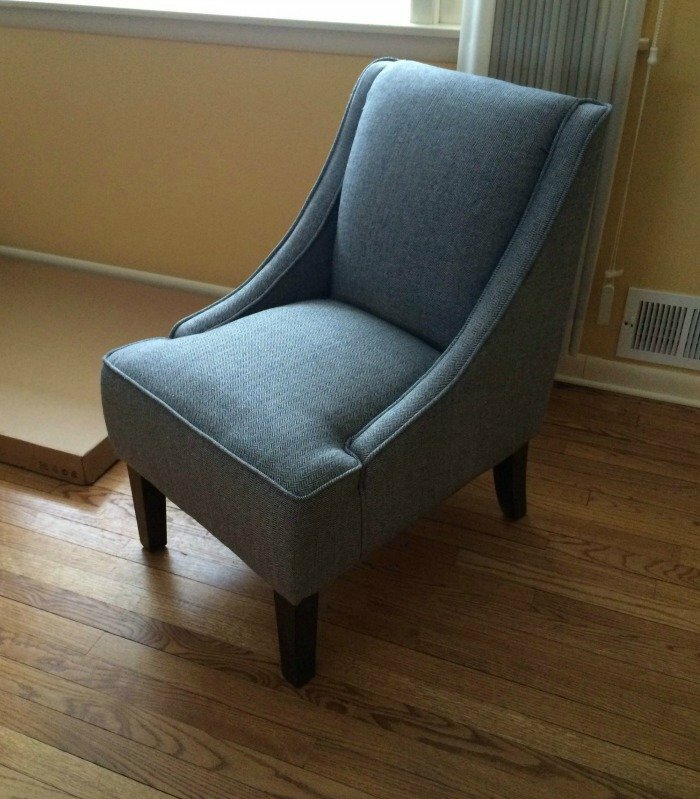 At long last, this herringbone pattern accent chair from Target is ours! I have had my eye on it for months, and it was on sale last week. It looks great so far in our in-progress living room! *I plan to share pictures once it is done. 5. Lastly, this picture. Do I need to say more? I love Ellen. I loved the Oscars. That is all. Love the new chair!! It's very pretty!! Hope your hubby feels better and he definitely gets points for being so on it with all your birthday surprises this year!! Happy weekend doll! 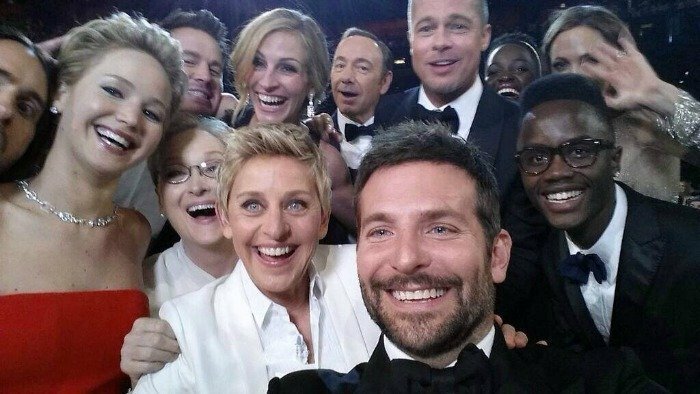 Haha I loved that picture (definitely retweeted it) and I loooved the Oscars this year! Schaumburg's IKEA is amazing.. I could spend all day in there! Hope you have a great weekend! Fun post today! I'm so happy you had a great birthday, you deserved it! Love the pictures, Ryan and I do have fun, don't we? !